Kim Hyun Joong and SS501 , too HOT to be handled by DSP ?? Have Kim Hyun Joong and SS501's popularity grown so big...that DSP can't handle them anymore??? ....You know, like a small store, deluged by hordes of customers......floundering....coz of insufficient supply of products and lack of human resource and technology...makes them unable to handle the situation. Remember the Girl band group, FinKL...that Hyori was in ...they also left DSP at the peak of their popularity...they stopped activities in 2002...got together again to create an album in 2005 ...which was was not promoted well...and got together yet again in Lee Hyori's concert in 2008 ....till now they have not disbanded officially [Oh, please let this not be the case for SS501 !!]. 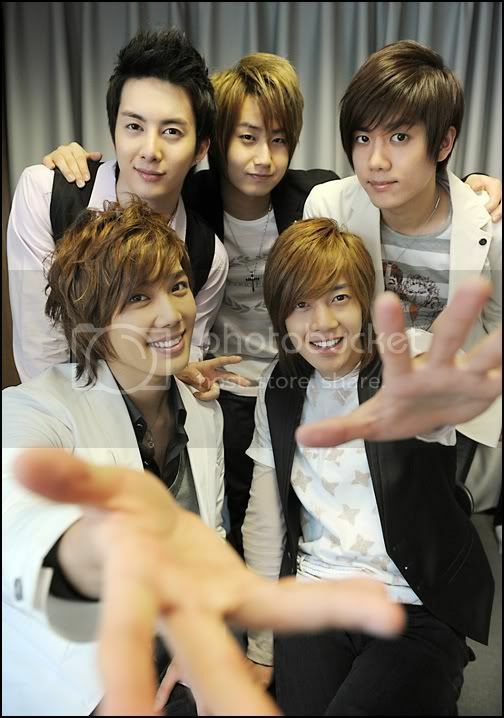 DSP should be given appreciation on developing and catapulting SS501 to fame, that fact has to be said. Even though there's so much more they could have done for SS501 [ like a few more full album !! ], I thank them for forming and grooming SS501. 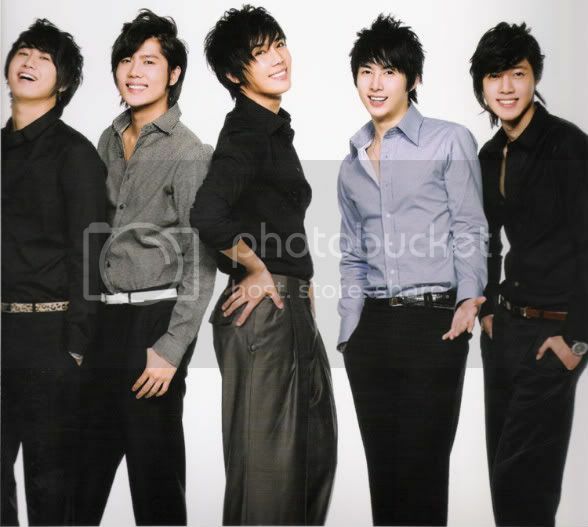 I appreciate all the nice things they have done for SS501. But it seems once the star or the group under DSP has become BIG....they will need another agency to handle their career. I really can't believe all the rumors about DSP turning down Kyu Jong ...why would DSP let go 'one of five geese that lay golden eggs' ??? [pardon me] . Let us wait for more reliable news about this. So, it looks like the five of them have been aware of Hyun Joong's decision...it's not like Hyun Joong hid the facts...and go meet BYJ in the dead of night wearing black ninja clothing...nope, he went to meet BYJ in broad daylight in a public place to boot. As for the five of them staying together as SS501 for always....it's my dearest wish.....Still don't know how I will react if this is not the case...so better not go into this....I'm still holding on to SS501 member's words....trust them and believe them...I still believe in Hyun Joong the true Leader of SS501. I am hoping...that Hyun Joong will still be accessible to us fans. I am a big fan of BYJ....and fans of BYJ have a hard time seeing BYJ anywhere...we're always missing him. Hope this won't be the case for Hyun Joong. Also hoping Keyeast will not turn him into a 'young BYJ' . There never will be another BYJ, with his special talent, charm and attraction. Baefans are very aware of this. KHJ has his own distinct talent, charisma and charm. wouldn't it be delightful if KHJ's presence in Keyeast will have an effect on BYJ.....resulting in US seeing MORE of Yong Joon ssi ^^ !! ....Can dream can't I ? Please, let us still be able to see Leader singing and dancing his heart out onstage... with other members of SS501....[besides, maybe pranking around and being adorkable sometimes is enjoyable ^^]. SS501 with out one of it's members is not SS501....SS501 with out Leader Kim Hyun Joong is not my SS501, SS501 with out Kim Kyu Jong is not my SS501, the same...SS501 without Heo Young Saeng or Kim Hyung Joon or Park Jung Min...IS NOT MY SS501 . Let's believe in them !! Let us hope SS501 members will get together and discuss the decisions they will make....may it be a wise and...a happy out come for SS501 and Triple S....yes, lets have faith in SS501's strong bond of brotherhood. It would be a waste to end SS501 !